Hi! 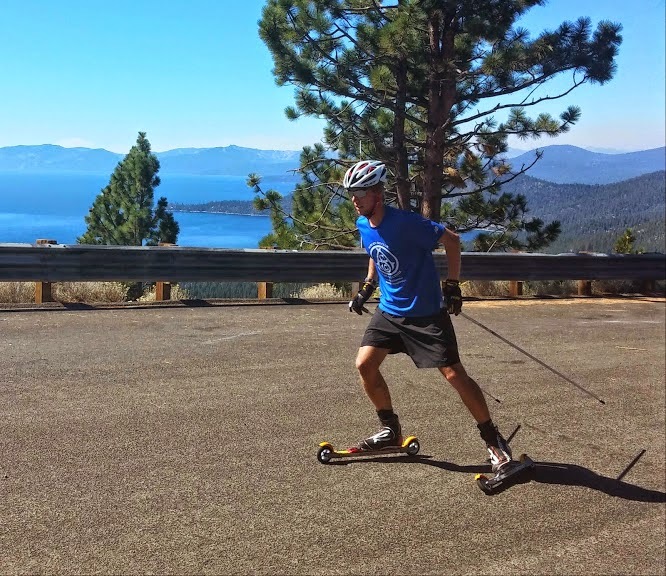 I’m Patrick Johnson, and I’m a biathlete and cross-country skier from Truckee, California. I’m pursuing the sport of biathlon with the hope of qualifying for the World Cup team and racing for the United States in the 2018 Olympics and beyond. I am a member of the United States Biathlon Association’s Development Team, and my immediate focus is on taking the next step in the sport by qualifying for the national team. With your support I can accomplish my goal of becoming a world class biathlete representing the United States in international competitions and the Olympics. While biathlon may not be a very well-known in the United States, in Europe it is one of the most popular winter sports; tens of thousands of fans attend competitions and races are broadcast across the continent to millions of viewers every winter weekend. The sport combines the physiological challenges of skate skiing with the mental challenges of shooting. 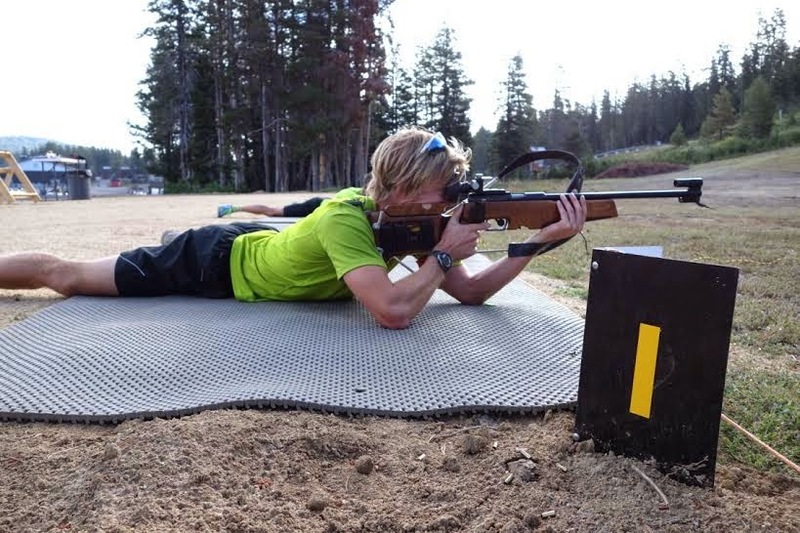 To be a successful biathlete, you must be able to push yourself to your anaerobic limits, but then calm the body and mind so you can hit targets as small as 1.8 inches in diameter from 165 feet away. This challenge makes biathlon both a thrilling sport both to compete in and to watch. I was born and raised in Anchorage, Alaska, and cross country skiing has always been a big part of my life. I did my first race when I was seven, and I was immediately hooked, continuing on to have a successful junior career, with numerous junior national podiums and the opportunity to race at the Junior World Championships with the US Ski Team. For College, I attended Middlebury in Vermont, where I continued on to have numerous victories in college races and NCAA All-American finishes at the National Championships. After college I decided to continue racing professionally, which brought me to California, where I joined the Far West Elite Team. As my skiing results improved over the years, biathlon became a sport I was more and more interested in competing in. I had become a fan of the sport, and I especially loved the extra mental and physical factors that marksmanship added to ski racing. However, my options to start the sport were very limited. To be a biathlete, you need a rifle that costs several thousand dollars, access to a biathlon range, and top notch coaching, and these resources were not available to me throughout college or at the start of my professional racing career. This past winter I was fortunate to finally come upon the opportunity to start training for biathlon! First, I learned that Auburn Ski Club in California was building up their biathlon program, and were interested in helping an elite racer to train for the sport. I spoke with ASC’s head biathlon coach, Glenn Jobe, who enthusiastically offered to coach my shooting. Glenn and I instantly clicked, and I’ve made enormous progress in my shooting under his supervision. I owe a big thanks to the support I've received from ASC and Glenn! This spring another great opportunity came up when I learned that the US Biathlon Association was expanding their development program. I attended the USBA Talent Identification Camp, and from my results at the camp I was named to US Biathlon's Development Team. I have now been able to attend camps with the National Team at the Olympic Training Center in Lake Placid and at the 2002 Olympic Biathlon venue in Utah, and I will be attending further camps and races with the Developement Team this winter. These camps give me the opportunity to work with our national team coaches, and have also given me opportunities to train with and learn from America’s best in the sport, including Tim Burke and Lowell Bailey, who are among the top biathletes in the world. While I’m obviously very excited to have the opportunity to train for and compete in this exciting and challenging sport, I’m also hoping my journey can help build the sport of biathlon in California. The region already hosts the largest biathlon festival in the country each year in Mammoth, and biathlon in fact debuted as an Olympic sport at the Squaw Valley Olympics in 1960. It’s been many years, however, since an Olympic-caliber biathlete came out of the Far West Region, and I’m hoping that through this pursuit I can help inspire excitement for the sport across all ages. Biathlon is a very expensive sport to compete in. Competition rifles cost upwards of $4000, and ammunition costs add up quickly as well. On top of that, costs for travel, lodging, waxing, equipment and race entries, can quickly push the costs for a season far over $10,000 dollars. I luckily have a portion of these costs covered through sponsors like Far West Nordic, Auburn Ski Club, Rossignol, which provides me with skis, boots and poles, and Toko USA, which provides me with waxes and gloves. As well, between of my busy training schedule I find time to work part-time during the offseason, which helps me cover my basic living expenses. However, there is still a considerable gap in my funding that I need to close for my dream to become a reality. This fundraiser is aimed towards two things: paying for a high-end biathlon rifle and covering travel and race expenses for the coming season. By funding these things I will be able to attend and compete in the necessary races which will allow me to qualify for biathlon national team support in the coming years. All funds will be collected through the Auburn Ski Club Ski Education Foundation, who are generously helping support this fundraiser. If you are interested, tax-deductible donations can be made through the Auburn Ski Club website here. Any and all donations are greatly appreciated! As well, if you can share this page with anyone else you think would be interesting in supporting this journey, I would be most appreciative! Invite to a laser biathlon clinic at TahoeXC, hosted by me, and a mailed Thank You card. Learn the basics of biathlon in a safe and fun setting! Clinic dates TBD. On snow clinics include 50% off of trail pass and/or rentals. Auburn Ski Club Biathlon baseball hat and a mailed Thank You card. Auburn Ski Club Salomon Tech Tee and a mailed Thank You card. Auburn Ski Club Biathlon baseball hat, a tek workout T-shirt, an invite to a laser biathlon clinic at TahoeXC, and a mailed Thank You card. Clinic dates TBD. On snow clinics include 50% off of trail pass and/or rentals. Personal 2 hour ski lesson with me at Auburn Ski Club and a mailed Thank You card. Includes free pass and rental. Family pass to a laser biathlon clinic, hosted by me, at TahoeXC, and a mailed Thank You card. Bring out the whole family and learn the basics of biathlon in a safe and fun environment! Clinic dates TBD. On snow clinics include 50% off of trail pass and/or rentals. Company or personal patch on my Auburn Ski Club Biathlon Jacket. For your support I will provide space for a patch representing you or your company on my ASC jacket. Biathlon lesson for two at Auburn Ski Club and a mailed Thank You card. Get introduced to this exciting sport, with coaching from me and/or Olympian Glenn Jobe. ASC offers a safe and fun environment to learn the basics of marksmanship and biathlon, as you practice shooting on real biathlon rifles and targets. Whether or not you have experience shooting, you'll have a great time and be ready to come back for more! The Biathlon Starter package. Includes an invite to a laser biathlon clinic at TahoeXC, an Auburn Ski Club hat and Salomon Tech Workout Tee, 3 one hour ski sessions with me, a private biathlon lesson and three months of training consultation. I have many years of experience training for skiing, so let me help you design a training plan that will let you meet your racing goals this coming season! This level of support will cover the cost of a rifle that will serve me for years to come. For your generosity, we will host an event at the Auburn Ski Club Biathlon Range for you and 10 of your friends. We will provide rifles and coaching for you and your friends in a safe and fun atmosphere. Once you've gotten down the basics we'll let you race one another! As well, we will provide ASC hats and Salomon Tech Workout Tees for all participants. Finally, I will also provide space on my ASC Biathlon jacket for a patch representing you or your business.